New York City is often called “Concrete Jungle” and for a good reason. This overbuilt and overpopulated urban garden, is home to the best and the worst real estate in the world. As an economic and cultural epicenter, it deserves all its praise and glory. Real Estate seeker here, deserves to find the very best, in a New York minute. 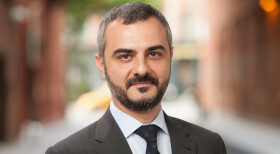 I am Armen Meschian, Licensed Associate Real Estate Broker at CORE, and the founder of Luxdwellings.com. Armen Meschian joined CORE as a Licensed Associate Real Estate Broker, bringing over fifteen years of real estate experience. His background in real estate services includes managing residential sales and marketing campaigns, commercial transactions, and construction/residential financing. Offering an assurance of reliability while also acting as a skilled negotiator and advocate on the behalf of his clients, he is credited with keeping a constant pulse on the evolving real estate market and shifting market conditions, allowing clients to have the most up-to-date information available to make a sound investment decision. His proficiency in managing a transaction from contract to closing, thorough due diligence, resourcefulness and ability to troubleshoot complex matters earns him repeat business from sellers, buyers and business owners alike, as he thrives on long-lasting relationships. Born into a family of architects and structural engineers, Armen developed a deep appreciation for quality architecture early on, especially after his move to New York City in 1989, where he was immediately struck by its abundance. Now a proud New York resident, he continues to explore the city’s history and rising future. During his spare time, he enjoys spending time with his wife and two children, traveling to Europe, discovering new eateries, playing tennis and indulging in the arts.